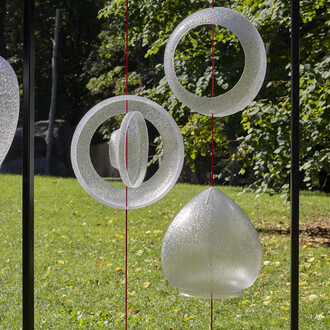 Melman’s art explores processes of alchemy and transformation. 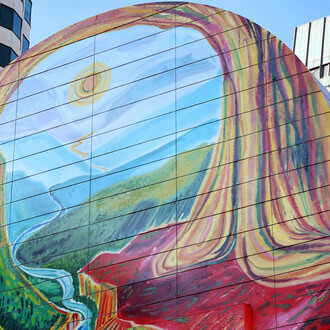 An emergency room physician, he often takes as his subject the transitional moment between life and death or the boundary between inanimate and animate states of being. 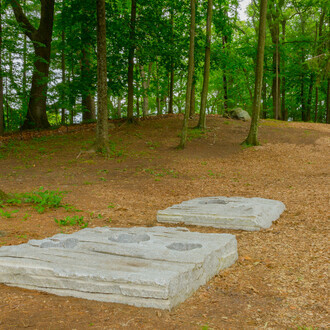 For his 2010 installation Central Governor at MoMA PS1, Queens, New York, he gilded the museum’s massive subterranean iron furnace over the course of a 168-day performance. 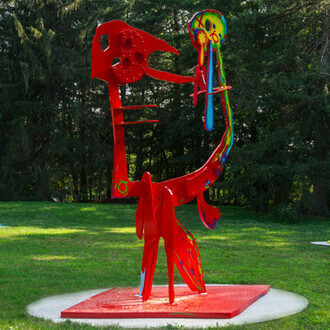 He described the process as “re-skinning”–applying layers of gold leaf using his own saliva over all surfaces of the boiler as if to resurrect it as a sacred icon. 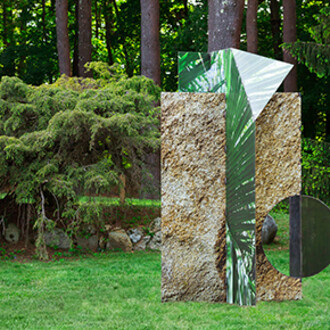 Similar activations of architecture are at play in his deCordova PLATFORM commission, Best Of All Possible Worlds. 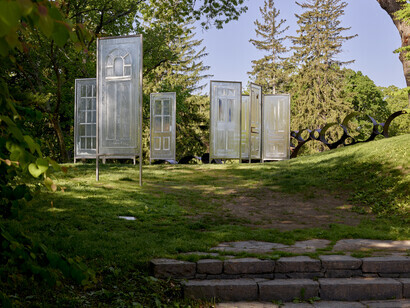 The piece consists of eight vacuum-molded casts of doors, arranged in the exact configuration of the artist’s Brooklyn apartment. 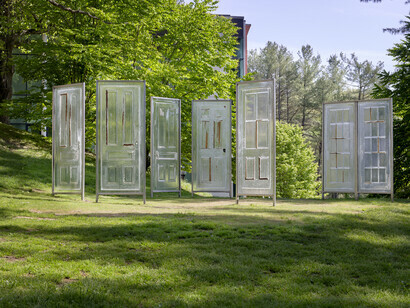 The vacuum-cast process creates translucent replicas of the original doors in plastic. 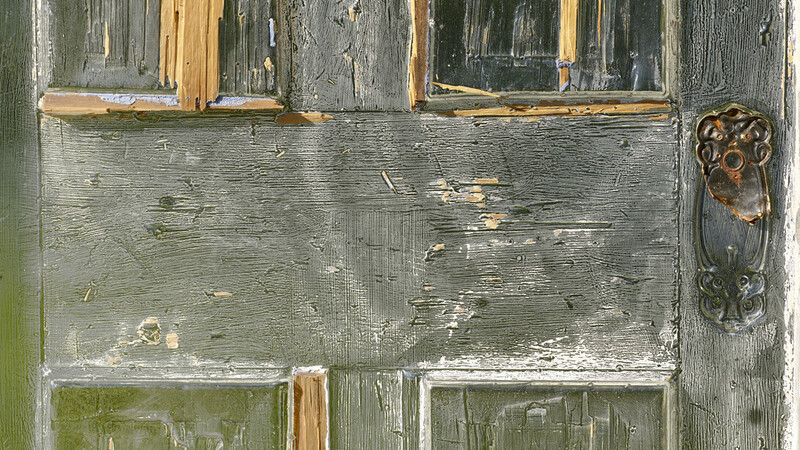 Traces of paint and small pieces of wood cling to the surface of some of the doors, suggesting their past lives and situating them between the material and immaterial, past and present. 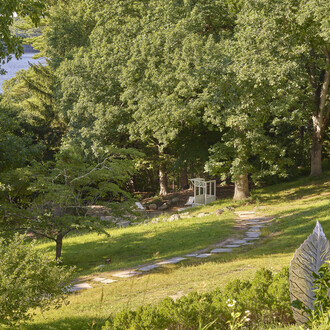 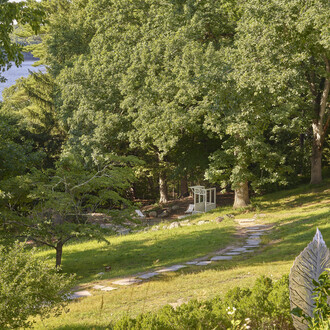 In deCordova’s Sculpture Park viewers can walk through and around the doorways to experience the ghostly echoes of Melman’s lived space. 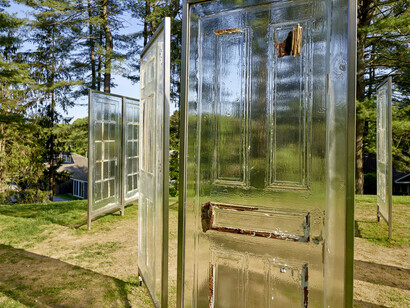 By emphasizing thresholds between interior and exterior, the installation alludes to personal secrets and past experiences that linger in domestic spaces—making a serendipitous connection to deCordova’s own history as a former residence (the opulent home of founders Julian and Lizzie de Cordova). 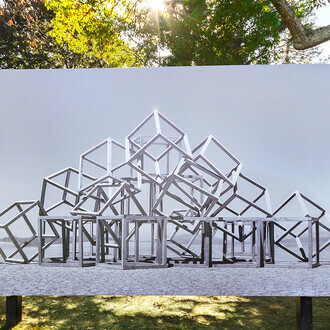 Melman sited the installation along an east-west axis to activate the doors with the maximum amount of light, particularly during sunrise and sunset.